FOLLEN’S THIRD THURSDAY FOOD FOR THOUGHT IS BACK! Where: In the Sacred Heart Parish Center Lower Level, 718 Mass Ave. The building entrance is on Mass Ave. across from Follen. 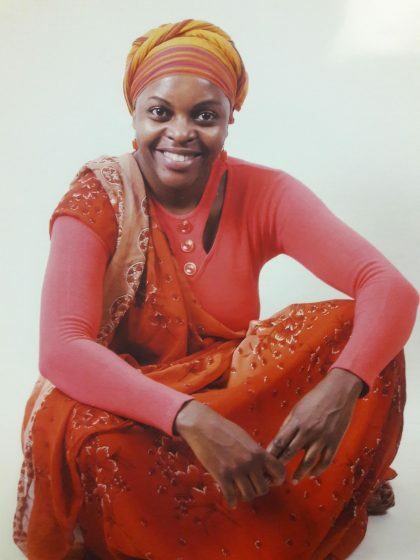 What: Belonging: An evening with Julie Najjumba, performer, teacher and founder of the organization, African Cultural Services in Waltham. Julie will explore what it means to her to belong in America , the country she now calls home. Julie lives and works in Waltham, the center of the US Ugandan community, where she is a community advocate for African-American children and families. Through music, dialogue and media, Julie will engage us in her journey of belonging and our own. Enjoy supper at 6:00. We will provide on-site childcare for this event. No need to RSVP – just come!